One of the most confusing aspects of marketing your local business online is trying to understand the various internet marketing terms. Here are some SEO terms and their definition to help shed some light. * SEO – this stands for Search Engine Optimization and is a general term used to describe methods and strategies that will help your site rank better in the search engine listings. * On page SEO- these are methods and strategies a site owner uses internally on their own site to help their site rank better. * Off page SEO- this covers methods and strategies a site owner uses externally on other people’s websites and blogs to help his website rank better. * Backlinking- this off page SEO method involves creating links on other people’s websites that point to your website. These links are called back links. * No follow links- these are backlinks that do not carry the “power/authority” of the page rank of the site they are located on. * Do follow links- these are backlinks that have the page rank of the site they are located on flowing through them to the back linked site. * Black hat SEO- these are unethical SEO tactics used by a site owner to promote his site, which are not desirable and may result in getting banned by search engines. * Backlink profile – this refers to the mixture of the different type of backlinks a webmaster uses. * Anchor Text- this is the clickable part of text within an article or other piece of content which when clicked will direct the user to another page or site. * Page Rank – this is a search engines measure of a webpage’s authority on a scale of 0 to 10. Search engines rank individual web pages not websites as a whole. * Contextual links – these are back links that are embedded within the text of piece of content and are surrounded by other content. 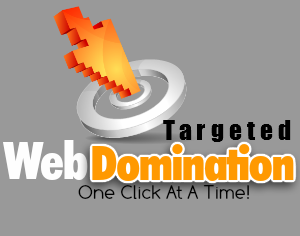 They are the most powerful type of backlinks especially if they appear on a sites homepage. * Keyword density- the number of times a keyword appears in a piece of content, expressed as a percentage. The ideal mark is 3%. * Outbound Links- these are links a website owner creates from his website to external websites as opposed to a backlink that links from external sites to his site. * Indexing – a term used to describe when a search engine finds content on the web and lists it in its search results. Some content gets indexed faster than other types. Before I get to the epiphany I had, let me preface that my wife and I are the proud owners of The Elder-Williams Pet Sanctuary. The sanctuary houses cats (Elle, Moxy, Sissy, Kitty Kat, and occasionally Heinte), and a dog (Rocky). On the fireplace mantel rests the remains of Charlie (beloved pooch), and Angel (beloved kitty). In the backyard is a cemetery plot on a beautiful mound with plants and flowers where Mr. Bunny is laid and memorialized. All of whom were rescued from some predicament or another. Before I get to the epiphany I had, let me preface that my wife and I are the proud owners of The Elder-Williams Pet Sanctuary. The sanctuary houses cats (Elle, Moxy, Sissy, Kitty Kat, and occasionally Heinte), and a dog (Rocky). On the fireplace mantel rests the remains of Charlie (beloved pooch), and Angel (beloved kitty). In the backyard is a cemetery plot on a beautiful mound with plants and flowers where Mr. Bunny is laid and memorialized. All of whom were rescued from some predicament or another. All of them cried out for help looking for a place just to call home and a family to be part of. All of them taken in with love and care. They get the best food we can give them, and one is on a diet that requires special food. Morning feeding time is 5 am, earlier if Sissy wills it. Any later than that, we have the unfortunate possibility of a kitty (Sissy), pouncing on our heads. If the victim is my wife, it ends with her pulling Sissy in closer for a morning snuggle, which allows her to get a few more minutes of rest. If I am the victim, it ends with me tossing Sissy on the other side of the bed while I pull, what I am sure of, is hair from my face and the inside of my mouth, gasping with indignation (laugh). The last kitty taken in, we found at our sliding glass door after returning from Europe. Apparently, she got the memo that if you are abandoned and need help, our address is the place you go to get that help. I really believe my wife’s name is on a virtual care list that only critters have access to, because after vet bill we were her proud new owners and Moxie moved into the house. Now, 10 months later, Moxie has still not been accepted into the head (Elle and Sissy), and we have to keep the 2 camps apart, only integrating them under watchful eyes. Sometimes it makes meal time a hair pulling experience but always an entertaining one. Think, hungry predators circling you purring, barking, and jumping (laugh). At least, In that moment, their mission is unified, and that is to eat! I am sure you get the picture! Their healthcare is better than people utilizing The Affordable Health Care Act. They cannot be turned down by insurance (us), they have many doctors to choose from, and they have us to worry about the level of care they receive. That brings me to my story. A usual trip to Petco to replenish cat litter started out as normal. Browsing the aisles to see if there were interesting toys, checking out the current food selection, the newest fashion trends for Rocky, and the usual passing by the cat adoption center with me telling my wife, “Honey, the Inn is full!! !”, and her getting a pouty face. There is usually at least one kitty that stands out from the rest. It’s that one kitty that is crying out more for attention than the others. This one usually implores the “cute factor’ to such a degree, you have to stop and say “ah, she is so cute”! If there are other people standing around also saying “ah, she is so cute”, it increases the cat’s desirability and authority over the others in your mind. This situation usually ends up with an adoption taking place. It was in this moment that I had an epiphany. This is what I see on a daily basis when I am consulting with businesses on their marketing and Internet Lead Generation Strategies. Many businesses seem content with just slumming in their cages waiting for a prospective buyer that is not really savvy enough to notice the business’s dull armor. The problem with this strategy is that there is no correlation with a prospective buyers’ savviness and the business’s “cute factor”. You see, people buy because of emotions and justify that purchase with logic. They do not first say “logically this makes the most sense, now let me muster up the feeling of wanting it”. It’s only after they have decided to buy that their savvy starts justifying that decision with logic. It matters not whether your business is real estate, mortgage, home improvement, home repair, a restaurant, a store, a professional service, or business opportunities, the need for you to get noticed, attract potential customers and make a sale is the same. Online Directories are the foundation of SEO. If your business is not showing up in the Top Online Directories, your authority typically is not very high in the eyes of Google, Bing or Yahoo and thus they are not sending your business very much traffic. Traffic turns into leads and leads turn into sales. Get the picture? To solve this problem, the first step is to check your business’s online visibility with our Online Visibility Tool. This tool checks the top Data Aggregators and the Top 50 Online Business Directories to see how noticeable you are. The second step is to register for one of our upcoming Webinars called “Increasing Traffic and Leads Using The Power Of Online Business Directories” where I will reveal The 15 Top Online Directories, and how to submit and optimize your listings with them for maximum visibility. If you do not want to do this yourself you can look at our ”Done-For-You” packages that allow you to save your time while letting us do all the heavy lifting. Either way, if you ever want a chance of generating traffic and sales online, this must be done and done effectively. Press releases are an often overlooked method to get backlinks because not many people have heard of them or understand how they work. Press release sites are news release sites that operate online and despite their traditional offline definition, you don’t necessarily have to submit any “news breaking content” all one needs to do is to write an article with an objective news style. For many press release sites you can include what’s called a contextual backlink. Contextual backlinks are the best type of backlinks to get and are characterized by being surrounded by text content. Use your main keyword as the anchor text of your backlink and link it back to the URL of the homepage of your website. However, you need to make sure that the press release site allows contextual backlinks before using them. An important thing to note is that you shouldn’t submit the same article to all the press release sites. Instead you should submit unique articles to each site. One of the ways you can speed up your press release submissions is to take one article and spin it into many different articles, and then submit each spun article to a separate press release site. As you go about building press release backlinks make sure you keep a list of the URLs of all the press release pages where you submitted your press releases. This helps you to build a list of Press release sites you can use in the future and to also help you build backlinks to those articles since this will help get your content indexed faster. Keywords are the key (no pun intended) to just about everything you will ever do to getting your business noticed on the web. Keywords affect your rankings on search engines, the effectiveness of your ad campaigns, the ease with which potential clients can locate your business etc. Therefore getting the best keywords for your local business is absolutely critical and is the number one step to implement before you do anything. So how do you get the best keywords for your business? This isn’t difficult to do. It’s just a mixture of common sense and getting free help from keyword tools. * Take a paper and divide it into 2 columns. Name one column “WHERE” and the other column “WHAT”. * In the “where” column, list all the possible words related to the physical location of your business, what locations your business services its clients and where your clients come from. For example, list your street address, your town, your county and your state. You don’t really need to list your country because remember we are focusing on local search terms. If you have multiple business locations, list the branch names too. * In the “what” column, list all possible words related to the type of business products and services you sell and offer, including unique aspects of your business niche. For example, if you operate a sushi restaurant that offers karaoke and has an area where sports fans can watch live games, you would list words like sushi restaurant, Japanese restaurant, sports bar, karaoke etc. Now that you have two keyword lists that describe the where and what of your business, its time to get help from keyword tools that will tell you which keywords are more popular or more likely to be searched for. You want to know the best keywords to use. For example, you would want to know which of two keywords is more important- sushi restaurant or Japanese restaurant. You can find this out by going to Google Adwords. * Click advanced options and choose your country. Click search. Your results will appear. * If you click on the column titles “local monthly searches,” it will sort out the results from the highest volume to the lowest. Of course the phrases with the highest search volume are the most important keywords for your business. In our example Japanese restaurant yields more results than the term sushi restaurant (165000 vs. 40500) so it is a better keyword to use. Scrolling down the list we pick up very important information about the phrase “Japanese restaurant in” which has 27100 searches. This shows us that we can append our best “where” keywords to this term too. This 2 step process will complete your keyword research, yielding two lists of powerful and popular keywords for your local business to use in all your web content. Even better is the fact that you can combine these two lists to create a longtail keyword list for even more specific and targeted search results. There are certain SEO factors that are not looked upon favorably by the major search engines and that can ruin your search engine rankings. 1. Keyword Stuffing- this is the worst practice to do as it results in an artificial keyword density of over 10% and may result in getting your site banned from the search engines. 2. Keyword dilution- this is when you are trying to SEO for an excessive number of keywords and most of the time the keywords are unrelated to one another. For example if you run a local bakery and your main keyword is “bakery in Tulsa”, trying to target 500 keywords on one site and targeting keywords such as includes “shoe stores in Tulsa” is keyword dilution. 1. Try to avoid having too many outbound links from your site to other sites because the search engines will think you are involved in link buying or spamming. One outbound link per article to an authority site is about right. 2. Outbound links to suspicious or unethical sites will tremendously hurt your rankings. 3. Cross linking is a big no-no as far as SEO is concerned and will result in getting your site penalized. Cross linking is when your site links to site A and site A links to site B and site B links back to your site. 1. -Duplicate content is one of the most negative factors that can result in penalties. You should never have the same content on several pages of your website. 2. If you use Flash for movies on your site, remember that search engine spiders can’t index this content so provide a written description to accompany the movie. 3. Do not use Flash as the sole content on your homepage or any other page. Even though it looks artistic and beautiful, it is SEO suicide since those pages will not get indexed. 2. If you have a poor hosting services provider with a downtime below 97-98%, your content will have lower indexing rates and your pages will not get ranked.